If the breeze from those open windows just isn't enough to keep you cool, come get an expert opinion on what we can do to fix your auto A/C or heating problems. 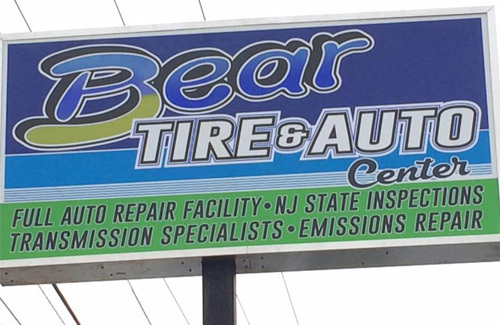 Bear Tire and Auto Center Offers Auto Repair Services You Can Count On! 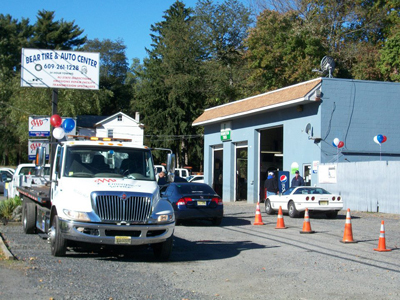 Since 1987, Bear Tire and Auto Center has provided motorists in the Hainesport, NJ 08036 area with comprehensive auto repair services that include 4x4 Services, Alignment, Brakes, Car & Truck Care, Domestic Cars & Trucks, Electrical Services, Electronic Services, Emergency Roadside Assistance, Engine & Transmission, Engine Maintenance, General Services, Heating and Cooling Services, Import Cars & Trucks, Inspections and Emissions, Junk Car Removal, Miscellaneous Services, Tires, Towing, Towing & Recovery, Transmission Services and Undercar Services. Our goal is to offer the best services available at affordable prices to get you back on the road in no time. For a high-performing vehicle, trust Bear Tire and Auto Center with your car, truck, or van. To learn more about the services we offer, please contact us by phone at 609-261-1228 or send us an email. We also invite you to learn more about our dedication to you, our valued customer. Great Service, friendly staff, all around pleasure to do business with. Their tow truck drivers are the most professional you will ever encounter! I was getting my car towed to another shop in the morning. The driver, who was very professional, said if I took it to Bear they'd beat the price, fix it up, and have it to me later before I needed to go to work. They did it all. Very impressed. Will go here for regularly scheduled maintenance and any other automotive problems from now on. Great customer service too! I'd like to encourage everyone to give bear a shot. They're a local family ran business that has been here for decades. The husband, wife, and son run the shop with their friendly staff. I've taken each of my cars here for almost 10 years. The do good work at fair cost. I like that they do small work like oil changes and tire repairs all the way to engine and transmission work. I don't have to have different people for tires, oil changes, and major repairs which is a time saver. Courteous, fast, professional work in towing me in, diagnosing my issue and completing repair. Job (starter replacement) came in below RepairPal median estimate, and was done really fast. All in all I would recommend this shop based on my experience there. 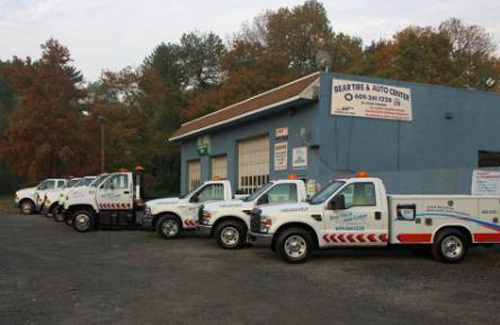 Excellent towing service.Handled my old car as though it were a multi-million dollar classic! Brand new Flatbed truck, handled by a pro(Dan#49). I will save their number! Great service, had my oil changed. No pressure for upgrades or other services. They did notice i needed new tires and drew up a quote, given to me when i paid, and we're not pushy about it at all. Great price too, will end up going back for more services in the future. I love Bear Tire and Auto. This is the only place that I trust to do the right thing by me and by my car. They are honest and up front; they tell you what needs to be fixed, what can wait, what you should be thinking about in the future, etc. They don't give you any BS pricing over the phone - they want to see the car and give you an honest price. They do great work in a timely matter. Their manager, JT, is an awesome guy to work with. I have several cars and I trust all of them to Bear Tire and Auto.